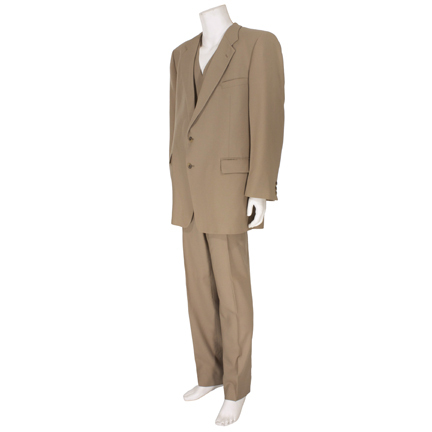 This three-piece suit was worn by the character “Norman Burroughs” portrayed by actor Alec Baldwin in the 2006 motion picture “Running With Scissors”. 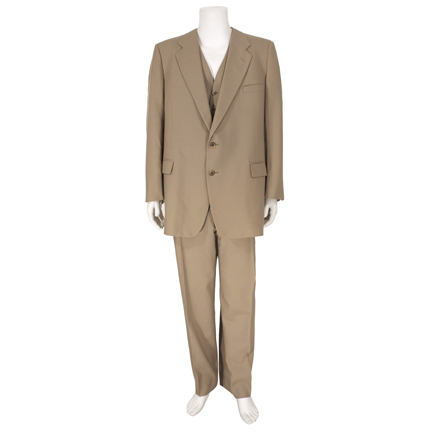 The 1970’s vintage suit by Givenchy consists of a tan jacket, vest, and matching pants. 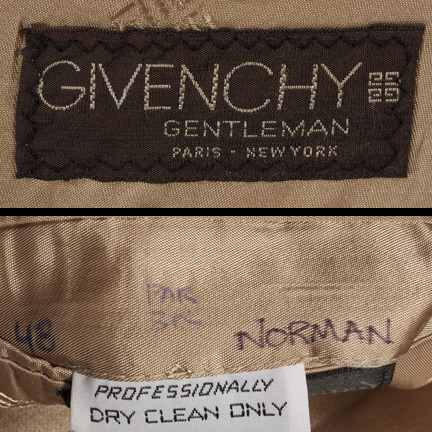 The interior jacket pocket has “PAR” (for Paramount) and the character name “Norman” handwritten in black ink. 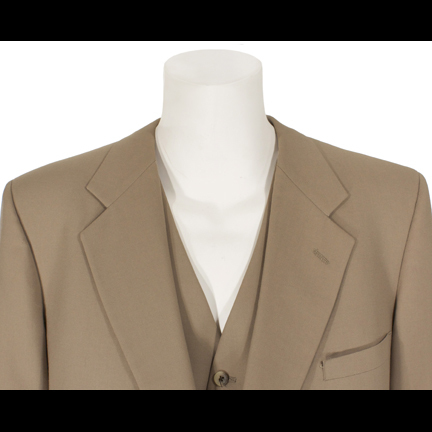 Mr. Baldwin wore this wardrobe in the notable scene when Norman runs into his ex-wife “Deirdre” (Annette Benning) while dining with his new fiance “Suzanne” (played by Dagmara Dominczyk). 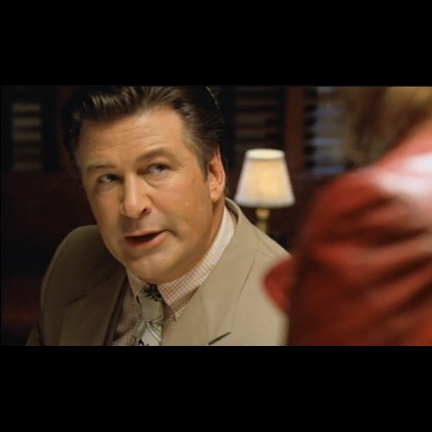 Deirdre becomes angry that she was not told of the engagement and causes a scene in the restaurant before flinging a glass of water in Norman’s face and storming out. “Running With Scissors” was based on the New York Times bestseller “Running With Scissors: A Memoir” by Augusten Burroughs. 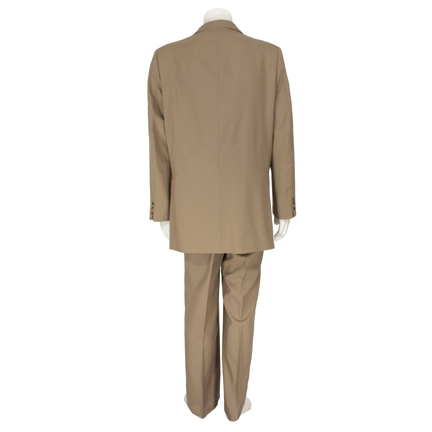 The film featured outstanding performances from such actors as Joseph Fiennes, Gwynneth Paltrow, and Brian Cox, and Annette Benning received a 2007 Golden Globe nomination for Best Performance by an Actress in a Motion Picture – Musical or Comedy for her work on the film. 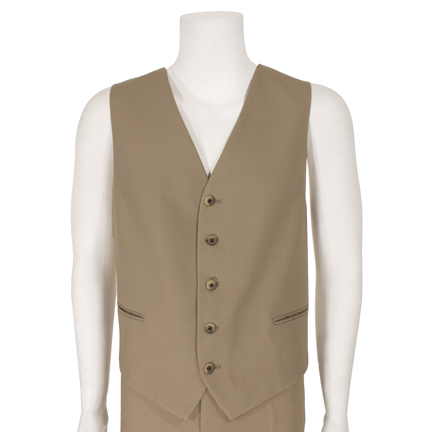 The garments are in good vintage screen worn condition and are accompanied by a letter of authenticity from the costume house.